Additionally, it is energy efficient and better for your health. Cellulose does not contain any fiberglass which can cause irritation and rash. 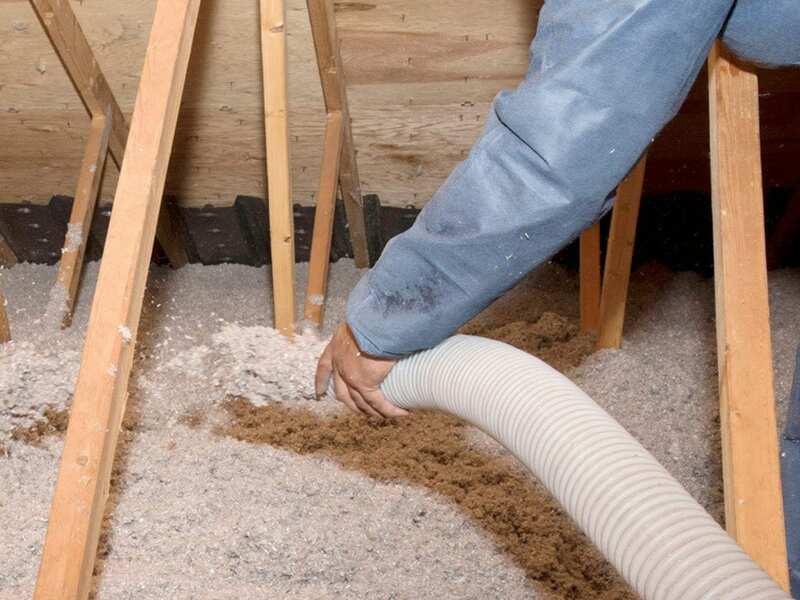 Typical places to use blown-in cellulose is in enclosed existing walls, open new walls, and unfinished attic floors. These small particles form an insulation material that conforms to most spaces without disturbing the structure or finish. Cellulose insulation is made from recycled materials that are ground into a fluffy, lightweight material with insulation value as high as R-4 per in. The insulation is treated with a non-toxic borate solution that gives the material a Class 1 fire safety rating (the highest available), while also making it resistant to mold and insects. Cellulose insulation offers impressive versatility in terms of application possibilities. Although cellulose forms a much denser and more effective insulation layer than fiberglass, it should still be installed after air sealing is completed.